For anyone over 30, those words from Aarick Knighton ’16 may ring true. That’s why Knighton, a student in the School of Information Studies, set out to change that mindset. Or at the very least, provide some insight. Knighton’s new book “Generation-i, The Millennial Mindset” helps to clarify what it’s like to be a member of the current generation. Baby Boomers or members Generation X may have a hard time understanding Millennials, typically defined as anyone born from 1980 to 2000. Knighton’s book aims to demystify a group that has never known what life is like without an iPhone or computer. Knighton admits early on in his book that he dislikes the world “Millennial,” believing the media gives the word a negative connotation. Knighton spends the next 170 well-written pages explaining how his generation got to where they are, giving a look inside the Millennial mind and explaining the new American dream. He explains how social media works and how his generation uses it. He writes about music, about life and about race in America, including the racial dynamic he faced in high school and college. He writes about life, love and even illegal drugs. In a nutshell, he touches all the bases when it comes to the world we live in today. The book itself was written last summer, in three months’ time. As for his next book, Knighton says he’s still undecided. 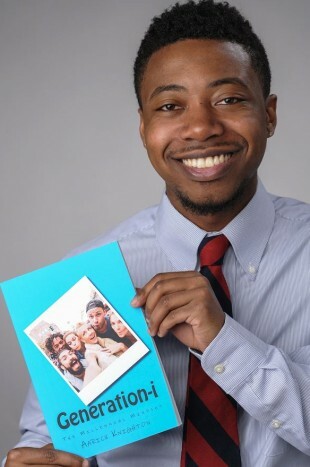 His first focus is on graduating this spring, and of course, selling his book. While Knighton has a Millennial mindset, he also has a mind for marketing too.”It makes a great stocking stuffer,” he says.